I’m excited to dive into some of these stories. It’s a scarier world this modern day one. I hope you can help me. I feel you have much knowledge to share because you care. My 24 yr old grandson is in prison for 6 more yrs approximately. He’s not a violent offender. His worst vice was alcohol. He’s looking for female pen pals. can you please direct me to, perhaps, a website or suggest other ideas. thank you so much for all your help. I volunteer at a local medium security prison and several inmates have asked about blogging. How would they get stuff to you? H Paul, that is wonderful that you volunteer. If that prison facility allows inmates to use the JPay emailing system… then they can email me their blogs that way. Or they can have someone email me their blogs at inmateblogger@gmail.com. Hi, thanks for following. very much appreciated. “collection of blogs written by inmates” man this is some awesome stuff going on here. Kudos for the idea. Thank you for following my blog and thanks for setting up such a thoughtful site. “…as you did it to one of the least of these my brothers you did it to Me” (Matt 25:40). Thank you for liking my blog post an following. Um looking forward to reading hat you post and share and following you. Thanks so much for this blog! It’s such a great idea. I have so much compassion and sympathy for the inmates and am so glad you are helping them. They are people who deserve our attention and respect, just like every other person. It is great they are rehabbing themselves. Also thank you for following my blog! I am so happy you liked it! everyone in life needs a platform and has a voice which deserves to be heard well done for your work and your blog keep up the great work from kevin. Thanks for the follow. I look forward to your content. Best of luck. yes iam back writing after a long spell dry thanks for your kindness all the best to you aswell. Hey, thanks for following, and cool idea you’ve got going here! Interested to see where it goes. Thanks for the follow. I look forward to reading what you have here. Thanks for the follow. Worthy website. Thank you for the follow and for this blog. What a great concept to bring inmate blogs together. Looks like a great service-thanks for following. Praying for you. 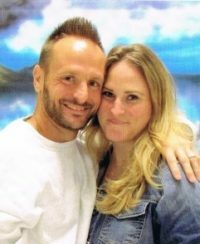 I accidentally came across your blog site researching inmate pen pal sites. I do volunteer work for several men that are locked up. I was so happy to find this site I am sure they will want to do this. I also want to tell you I reached out to one of the bloggers on this site John McConnell. I believe we are meant to be placed in lives of others especially during dark times. I want to thank you for such a wonderful positive site for them to use their emotions in positive ways. If there are ways I can volunteer to help you please reach out thank you!! If the guys I work with want to submit things how do we do it? They don’t get WiFi they only have Jpay. Hi Sharlaine, thank you for the kind comment. Please do tell your friends about InmateBlogger, I’d love to share their writing here for the world to read. You can give me their name/ID number/state, and I will add them to my jpay contact list and I’ll also email them an introduction explaining how to blog here. Interesting. I will explore the blogs. I understand this is actually a collection of blogs. Thank you for following my blog. Yours is an exceptionally interesting blog. Thank you for this truly noble effort. I read with a lot of interest about Inmate Blogger. I think it’s such a great idea. I just recently started blogging and I already know how much it means to express myself so I’m sure it has a lot of meaning for the inmates. I hope it continues to go well. My site is; http://www.DrJoyFinder.com. What I am reading here is a whole new kind of community, and I think it is great. You know, I suspect most human beings, if they are honest, have done something that was not right in their lives, or they have had something done to them by family members, etc. But all of you are rising above this from what I can see, and that is admirable. Now I am 76, and a married woman, and two years ago, after having breast cancer surgery, I completed a degree in Criminal Justice. But don’t back off in horror. My goal was to be a mentor and advocate for juvenile delinquents. Unfortunately I guess age was not with me in that one, or perhaps the fact that I have been ill. So instead, I just got appointed by the court to be an advocate/mentor for foster children. I will be a volunteer, but it is OK. We all have something we can contribute to this world. Don’t let wherever you have been or what you have been through or done hold you back. We can ALL change. Now I might not post on your blog a lot, but it doesn’t mean I am not reading all of your work. I am trying to get as much living and contributing into the time I have left on this earth, and I hope all of you will do the same. My own blog is called http://www.allinadaysbreath.wordpress.com. Do come and read what I share too. Thank you all very kindly. Life is short even at its best; let’s all make the best of it. Thank you so much for your thoughtful comment. It truly touched my heart. Thank you very kindly, Suzie. I wish you nothing but the best in your life, and I think with what you are trying to do, you are really helping others as well as your own self. You are, in my mind, demonstrating that you are very responsible and you are working hard to do something worthwhile. I have read some of the inmates’ posts, and I see that a lot of them need help with their education, especially in writing. That is the sad thing about prisons. So many people who are in there clearly never managed to get a decent education in the most basic of things. Now I realize that may be because the inmates themselves did not attend or stay in school when they were supposed to, but at the same time, having been a teacher and paraeducator for children, I have seen with my own eyes how poor so many of the educational facilities are. The teachers are so wrapped up in meetings and paperwork that they leave much of the teaching to the instructional aides and paraeducators, and many of the classes are way overcrowded as well, so the children attending do not receive adequate help. One of the biggest requests I get for my tutoring services is to teach young people and children how to read. I also have been a volunteer too for Long Beach, CA Project READ, and most of the adult illiterate students cannot even read at the third grade level. There is absolutely no excuse for this. I realize that it takes all kinds of people in this world to commit crimes, but I think if more of them had more opportunities or realized their opportunities from being able to read, we might have less crimes. I am not one of those people to believe things without strong evidence, but when I worked with project READ, some of my most hungry to learn students were my juvenile delinquents. So something is very, very wrong with the system. Anyway, hopefully this blog project and perhaps opportunities to learn reading and writing and math will help those inmates who really want to change to learn what will help them a lot to start their lives over. Best of luck with continuing this project. You are clearly one of those “empowered women,” meaning that you are using everything you have and know to help others and to help yourself in the process too. Thank you again, Suzie. Good morning. Yes, your husband can be a blogger on this site. You can email me his blog posts at inmateblogger@gmail.com. Please have him start with an introduction blog, then he can write about any topic he wants. Thanks for your interest. Great stuff, and a great idea! This is such a good way to find people to pray for who really need it. Thanks for putting this blog together! I’m assuming all the latest entries are found by clicking “All Blogs” at the top, correct? It took me a little bit to fond them.